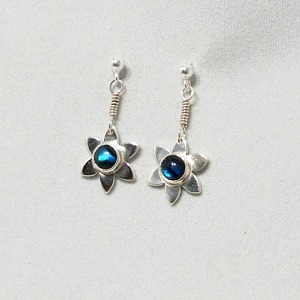 These blue Paua shell earrings are a new addition to The Busy Box Room. 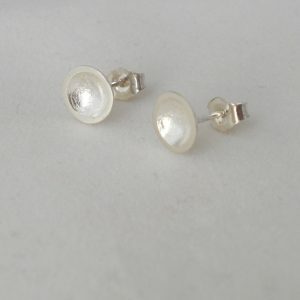 Suited more to adults, these delicate earrings would make a great gift for a friend or relative or you could quite simply keep them all to yourself. The stones/shells feature a beautiful array of colours making them suitable for a wide range of wardrobe colours. 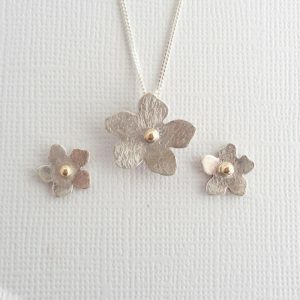 Handcrafted from scratch in sterling silver the flower design is approximately 12mm in diameter. The 5mm blue Paua shell cabochon stones have been carefully set in bezel mounts. 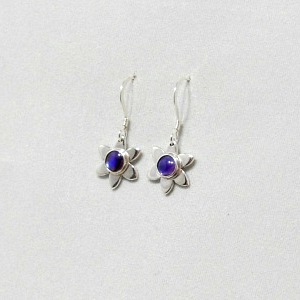 These dangle style earrings are available on pegs with butterfly fastenings or on ear wires (both sterling silver) .